Can you embed a list of publications on a website? I was recently asked this question at a campus event and immediately wondered why I never asked that question before. The inquirer managed a website for a research network that has several pages containing a bunch of relevant publications to the research topic. They wanted to combine all the citations onto one page yet still allow for the different subject areas to be searchable. “Could a citation manager do this within the college’s website architecture?” I was asked. The user was already familiar with Zotero so I chose to focus on possibly using this tool as the backend and dynamically displaying the results on a webpage…and there was success. Zotero lists plugins on its support pages including several designed for website integration. 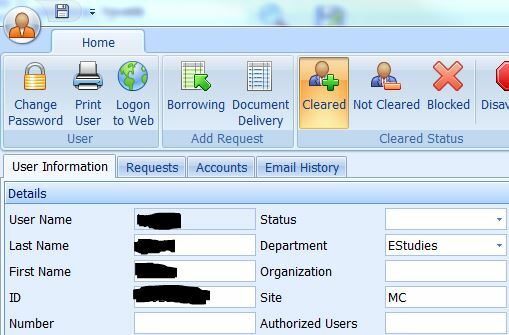 Example of BibBase within institutional website. 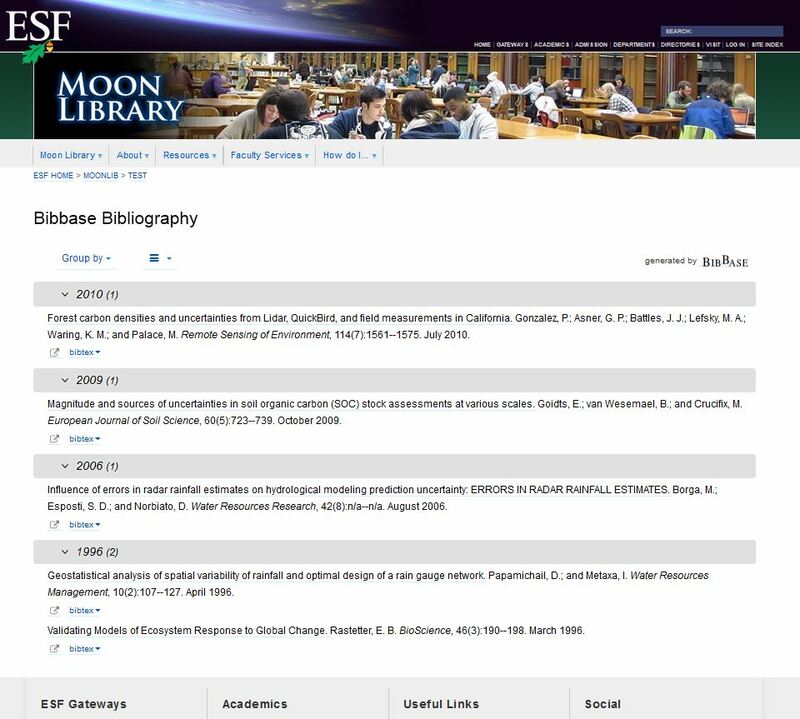 Consequently, BibBase is my recommendation for anyone who is willing to use Zotero and may not know a lot about coding. Note: I didn’t look at integrating into WordPress or content management systems and would re-evaluate if those platforms were involved. There were two other options that looked interesting and could be worth pursuing if you had the knowledge and/or patience to learn. Zot_bib_web – Displays the publications and has a nifty search box. The catch for some is that it involves running python scripts and the script can only be updated once a day. The directions looks straight forward but if mentioning python scripts scares you, this probably isn’t the tool for you. RefBase – This one also has potential and it has the sought after search box. However, I chose not to pursue it for this request because of the need to run php and create additional tables to a database. Doing this within the institutional website is just not an option at this time. Our library serves several remote field stations that have small unstaffed reading rooms and we occasionally get interlibrary loan requests from researchers at these sites. We generally choose to mail physical items to these users and wanted a way to differentiate and catch these unique requests so they aren’t cancelled or just placed on the hold shelf. Our current solution is to include a “Primary Location” on the user registration form that populates the user “Site” field in ILLiad. This involved several steps. First, I added these values to the CustomDropDown menu in the Customization Manager (System -> General -> CustomDropDown). Once the webpages are edited, the LabelName ultimately displays to users on user registration/information pages. Finally, I created a custom queue and a routing rule to send all requests not coming from users on the main campus to their own queue. MatchString = (u.Site = ‘RS’ or u.Site=’AEC’ or u.Site=’OT’) = Essentially the LabelValues that you want to go into their own queue. So far this solution has really helped the ILL staff easily identify the few requests that need to be mailed to the remote sites and process them accordingly.